The successful application brings back into beneficial use the longstanding vacant building, 160 years after it was built. The project involves the conservative repair and conversion of a Grade II-listed Victorian Mansion and the construction of a new, sensitively designed and environmentally conscious teaching block alongside. Combined with associated landscape works within the ecologically diverse estate grounds the new school will deliver, through dedicated and specialist facilities, a special place of learning for 3-11 year olds.start of 2013 academic year. Richard Collis, Partner at Feilden Clegg Bradley Studios said “We are absolutely delighted with the outcome of the Development Control Committee. The scheme was developed with, and supported by Council officers and statutory consultees all the way through the planning process and the proposals rightly deserved to be approved. 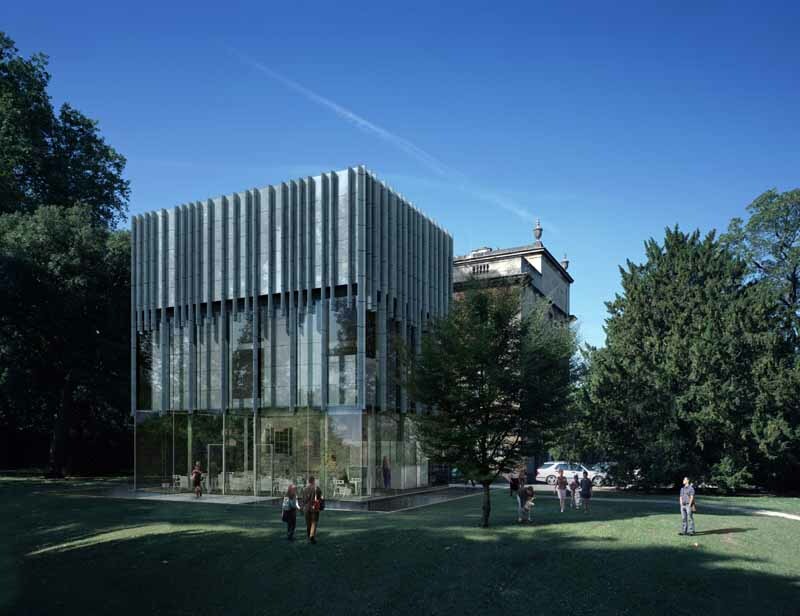 We look forward to commencing works on site shortly and to providing a new home for the Royal High Junior School in Weston, Bath.”start of 2013 academic year. Under the leadership of Mrs Rebecca Dougall, Head of The Royal High School, Bath, a member of the Girls’ Day School Trust (GDST) network, which owns the site, the team has spent the last four years in constructive dialogue with all key stakeholders to reconcile and resolve a wide range of complex issues.start of 2013 academic year. “We are incredibly passionate about this project and are thrilled that we now have the green light to move ahead with giving Cranwell House a new lease of life and providing an inspirational new home for our Junior School. Our inventive and sensitive scheme, developed hand-in-hand with our outstanding team of architects and consultants and founded on intensive research-led design, has received unambiguous support and exceeds key criteria in terms of conservation, highways, ecology and operation. Our plan is the optimum solution for the site and we are delighted that this has been recognised by the Development Control Committee.”start of 2013 academic year. Combined with associated landscape works within the ecologically diverse estate grounds, the new school will deliver, through dedicated and specialist facilities, a new Reggio Emilia inspired curriculum which celebrates the richness of childhood, a special place of learning for 3-11 year old girls. The new school at Cranwell House will promote Bath as a beacon of academic excellence for both UK and international students.start of 2013 academic year. The project is due to start on site this autumn with completion due in time for the start of 2013 academic year.